Whether it's a small intimate gathering of friends or a corporate gathering of two thousand, our staff can provide not just bartending services, but also a complete wine-tasting experience. For small gatherings, consider our set-up and go catering. We'll provide your wine, table dressing, glasses and accessories, including signs and tasting notes for your wines. Have a friend pour your wines or set up a self serve station to give a casual tasting experience while saving money! 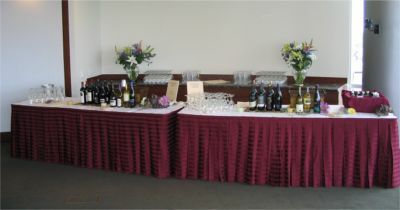 For large gatherings and corporate events Downer Wine & Spirits has worked with several area caterers in combining memorable food and wine pairings and experiences that will be remembered by your clients and guests. please contact our Bar Services Manager, Keith Marquardt at 414-332-0880.